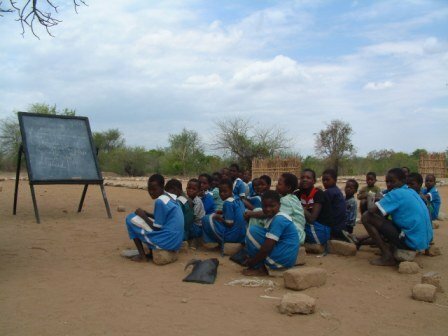 The Malawi government has been refusing to make primary education compulsory for all schools, a review undertaken in May 2015 by the United Nations Human Rights Council on Malawi’s human rights performances and violations has revealed. This was disclosed in a presentation by the Malawi Human Rights Commission on Tuesday during the 2015 Universal Periodic Review dissemination workshop in Lilongwe. Govt rejected to make primary school education compulsory. The move means that the government apart from snubbing the United Nations Convention on the Rights of the Child which the country committed to follow it also violated its own Education Act enacted in 2013. “Malawi rejected a recommendation to make primary education compulsory, in conformity with article 28 of the Convention on the Right of the Child. However, Malawi enacted the Education Act in 2013 which guarantees compulsory, universal and free primary education” reads part of the document that Malawi24 has seen. The Universal Periodic Review (UPR) is an exercise undertaken by the review of the human rights records in Malawi. It is an exercise that is carried in all UN member states to declare actions being taken to improve the human rights situations in their respective countries and to fulfill their human rights obligations. “The UPR is one of the key elements of the Council which reminds States of their responsibility to fully respect and implement all human rights and fundamental freedoms” declares the UN. By rejecting the recommendations as demanded by the Education Act, questions will be raised regarding Malawi’s commitment the rights of children particularly on its obligation to make education accessible to all children as the 2013 Act demands. kodi mkufuna kuti pasakhale kusiyana pakati pa amene abwerela form 3 ndi form 1 nanga munamuchoseranji bakili muluzi timaphuzira bwino ndiye iwe wabweresa zako za kamuzu banda eti? wayiwala chabe kuti azinyamula mazira ankhuku akamapita ku xool stupid!!! PAJA MUMACHALLENGER KUTI YOU CAN RUN THE COUNTRY WITH OUR OWN MONEY PANO ZAYAMBA KUKUKANIKA MWAYAMBA KULETSA PRIMARY EXAMS .SECONDARY EXAMS ONLY FORM 4 THE SKOOL IN MALAWI WILL GO DEEP DOWN THE DRAIN KIKI! ZILIKO! Where is Malawi heading to as far as education is concerned? Mr Kondowe help us.